3 Auriok Bladewarden 3,- Foil! 5 Auriok Transfixer 2,- Foil! 7 Blinding Beam 2,- Foil! 9 Leonin Den-Guard 2,- Foil! 10 Leonin Elder 2,- Foil! 12 Loxodon Mender 2,- Foil! 16 Raise the Alarm 3,- Foil! 17 Razor Barrier 2,- Foil! 18 Roar of the Kha 3,- Foil! 21 Skyhunter Cub 2,- Foil! 22 Skyhunter Patrol 2,- Foil! 25 Soul Nova 3,- Foil! 26 Sphere of Purity 2,- Foil! 34 Dream's Grip 2,- Foil! 35 Fabricate 38,- Ikke på lager! 37 Inertia Bubble 2,- Foil! 38 Looming Hoverguard 3,- Foil! 40 Lumengrid Sentinel 3,- Foil! 41 Lumengrid Warden 2,- Foil! 43 Neurok Familiar 2,- Foil! 44 Neurok Spy 2,- Foil! 55 Vedalken Archmage 23,- Ikke på lager! 56 Wanderguard Sentry 2,- Foil! 61 Contaminated Bond 2,- Foil! 64 Dross Prowler 2,- Foil! 65 Flayed Nim 3,- Foil! 68 Moriok Scavenger 2,- Foil! 71 Nim Lasher 2,- Foil! 72 Nim Shambler 3,- Foil! 73 Nim Shrieker 2,- Foil! 75 Reiver Demon 11,- Ikke på lager! 76 Relic Bane 3,- Foil! 78 Spoils of the Vault 25,- Foil! 81 Wail of the Nim 2,- Foil! 87 Confusion in the Ranks 15,- Foil! 91 Fists of the Anvil 2,- Foil! 92 Forge Armor 3,- Foil! 93 Fractured Loyalty 4,- Foil! 94 Goblin Striker 2,- Foil! 96 Incite War 2,- Foil! 97 Krark-Clan Grunt 2,- Foil! 98 Krark-Clan Shaman 3,- Foil! 102 Ogre Leadfoot 2,- Foil! 103 Rustmouth Ogre 3,- Foil! 107 Slith Firewalker 4,- Foil! 110 Vulshok Battlemaster 11,- Foil! 111 Vulshok Berserker 2,- Foil! 115 Brown Ouphe 3,- Foil! 119 Fangren Hunter 2,- Foil! 124 Living Hive 9,- Foil! 126 One Dozen Eyes 3,- Foil! 128 Predator's Strike 4,- Foil! 131 Tel-Jilad Archers 2,- Foil! 133 Tel-Jilad Exile 2,- Foil! 134 Tooth and Nail 115,- Ikke på lager! 136 Trolls of Tel-Jilad 3,- Foil! 137 Turn to Dust 2,- Foil! 138 Viridian Joiner 2,- Foil! 140 Wurmskin Forger 2,- Foil! 142 Alpha Myr 2,- Foil! 144 Banshee's Blade 5,- Foil! 151 Chromatic Sphere 4,- Ikke på lager! 153 Clockwork Beetle 2,- Foil! 154 Clockwork Condor 2,- Foil! 156 Clockwork Vorrac 3,- Foil! 157 Cobalt Golem 2,- Foil! 158 Copper Myr 2,- Foil! 164 Dross Scorpion 2,- Foil! 167 Elf Replica 2,- Foil! 169 Extraplanar Lens 118,- Ikke på lager! 170 Farsight Mask 4,- Foil! 173 Galvanic Key 2,- Foil! 175 Gilded Lotus 49,- Ikke på lager! 177 Goblin Dirigible 3,- Foil! 178 Goblin Replica 2,- Foil! 179 Goblin War Wagon 2,- Foil! 182 Granite Shard 3,- Foil! 184 Heartwood Shard 3,- Foil! 185 Hematite Golem 2,- Foil! 188 Isochron Scepter 27,- Ikke på lager! 189 Jinxed Choker 9,- Foil! 192 Leonin Bladetrap 3,- Foil! 199 Lightning Greaves 36,- Ikke på lager! 202 Malachite Golem 2,- Foil! 207 Mindstorm Crown 4,- Foil! 209 Mourner's Shield 3,- Foil! 210 Myr Adapter 2,- Foil! 213 Myr Mindservant 4,- Foil! 214 Myr Prototype 3,- Foil! 218 Neurok Hoversail 2,- Foil! 220 Nim Replica 2,- Foil! 225 Pearl Shard 3,- Foil! 227 Pewter Golem 2,- Foil! 230 Proteus Staff 24,- Ikke på lager! 234 Rust Elemental 5,- Foil! 235 Rustspore Ram 3,- Foil! 238 Sculpting Steel 47,- Ikke på lager! 240 Serum Tank 4,- Foil! 242 Skeleton Shard 4,- Foil! 244 Soldier Replica 2,- Foil! 245 Solemn Simulacrum 41,- Ikke på lager! 252 Synod Sanctum 4,- Foil! 256 Talisman of Progress 17,- Foil! 261 Thought Prison 4,- Foil! 263 Titanium Golem 2,- Foil! 273 Vulshok Gauntlets 2,- Foil! 274 Welding Jar 11,- Ikke på lager! 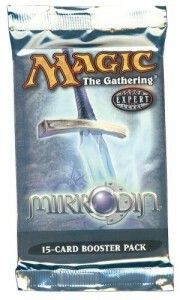 275 Wizard Replica 2,- Foil! 277 Yotian Soldier 2,- Foil! 285 Tree of Tales 9,- Ikke på lager! 297 Swamp 2,- Ikke på lager! Foil!